For more information about this event, please contact Chamox at info@chamox.com. 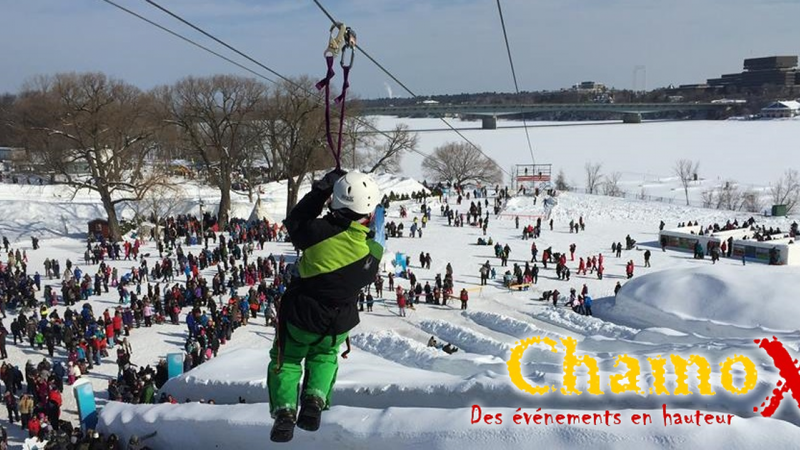 Come try the mega Zip line 600 feet long at Snowflake Kingdom of Winterlude event. o An unlimited ticket is not transferable after the first descent. o All tickets are non-refundable. o You must validate your ticket at the ticket office before 2:00 pm. See all details on our Facebook page.